My completed bag for the Goodie Bag swap. Pattern is the Melanie bag from ithinkisew. Good bag, poor pattern pieces and instructions. Button detail (it's on both sides). Inside has an open pocket that is divided into a larger and smaller side (smaller side for a cell phone). All fabric is Echo. 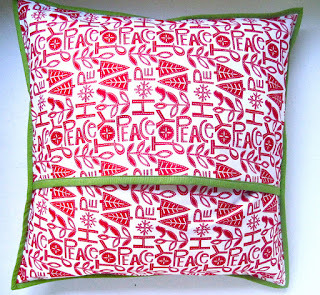 Christmas pillow listed in my shop and using my Wonky Alphabet pattern, also in my shop. I really like how the letters come out when I shrink them! The red fabric was a random JoAnn's find. I never buy much fabric there, but I really liked this print. The binding is Just Wing It by MoMo. Yep, another Christmas pillow for my shop. Used a scrap of an old Laurie Wisburn fabric along with some Ruby for the front. 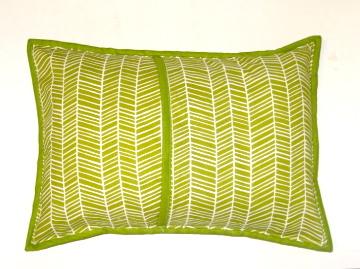 The back is Joel Dewberry's Modern Meadow herringbone. 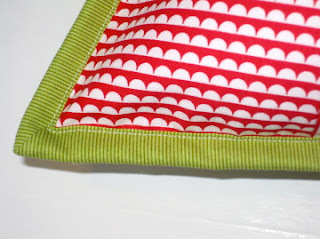 And yet another binding in Just Wing It! I really love these stripes, can you tell? FYI, 10% off right now in my shop with the code TWEET10! Super cute bag! Love that fabric. Sorry the pattern gave you trouble. 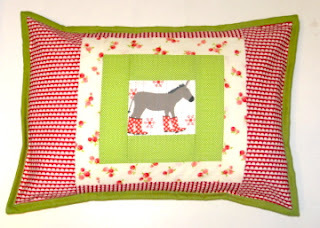 The Noel pillow turned out great, and the donkey is adorable, obv. the pillow is so cute. 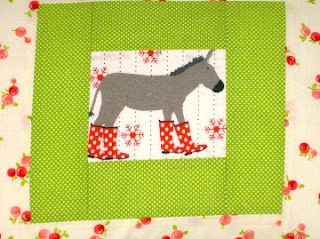 i am going to see if my joanns has any cute christmas fabric today... i am hopeful. :) love that bag also kelly, sorry the pattern was a bugger! Great bag. I really like the Echo line. Your Goodie Bag is rockin! Love that Echo. 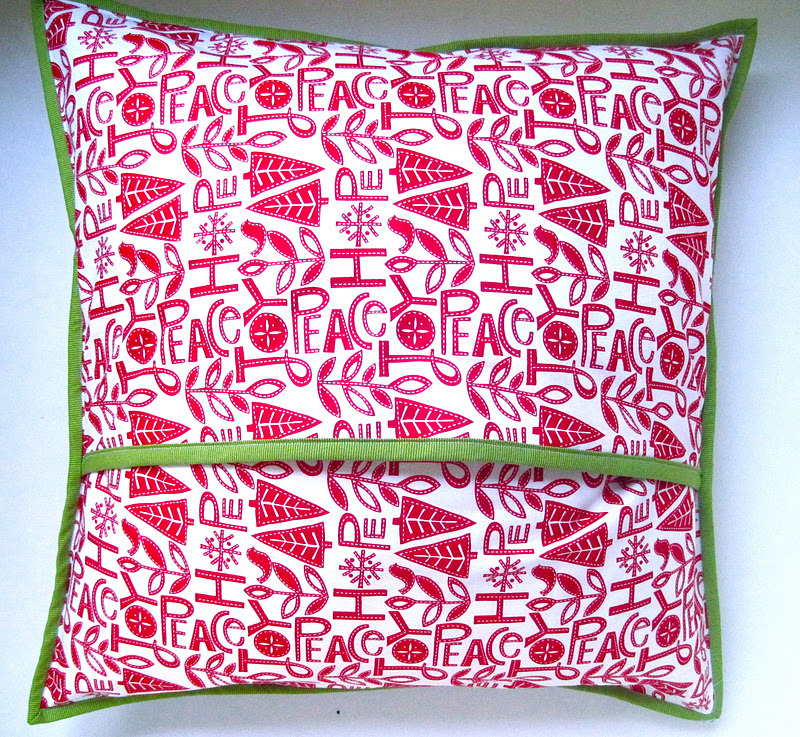 Cute pillows, too!